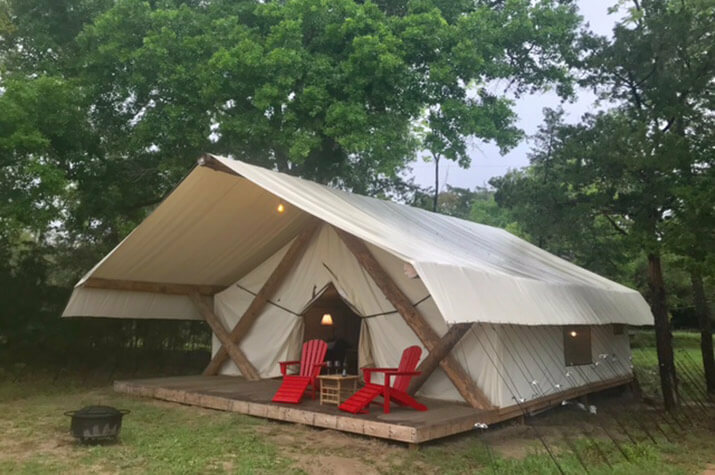 The newest addition to the ranch, enjoy a truly unique getaway experience with our Grand Safari Tent! 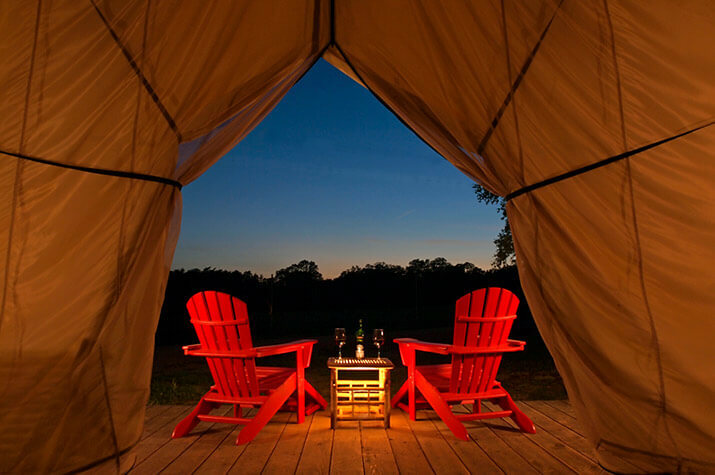 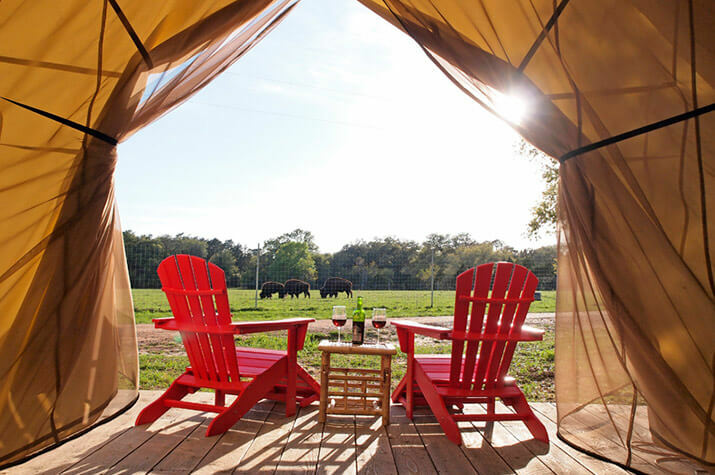 Set amongst the giant Live Oaks, this luxury tent offers the perfect level of seclusion with a grand view of our exotic animals from the private front deck. 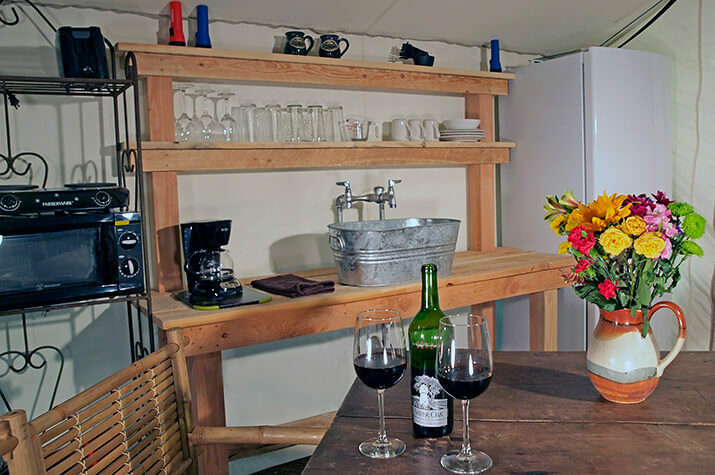 Enjoy all the modern comforts with a romantic King bed, sitting area with a wood-burning stove, kitchenette with microwave, toaster/oven, dishes, silverware, glassware, pots/pans, dining table & chairs. 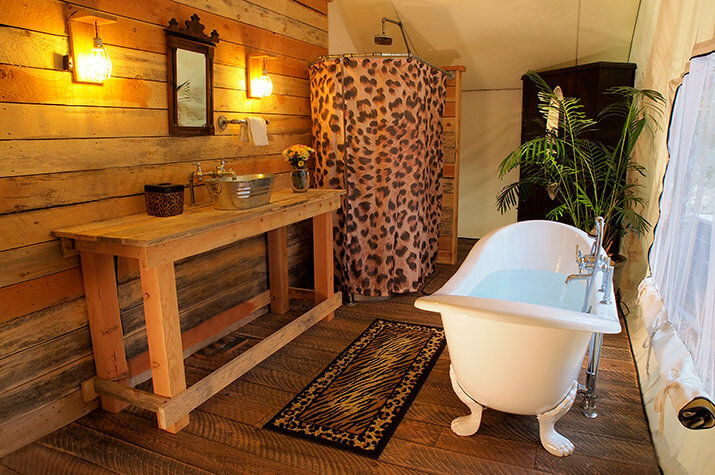 The in-tent private bathroom features a shower and an elegant soaking tub with a view of the woods. 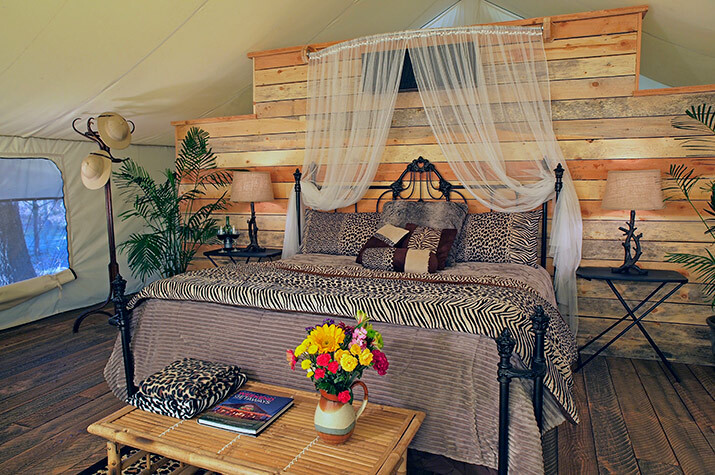 The tent also offers A/C and heat for your comfort. 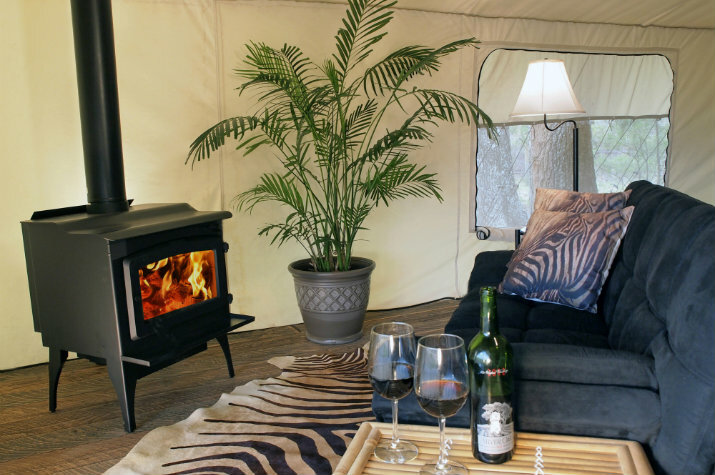 Outdoor private firepit and gas grill. 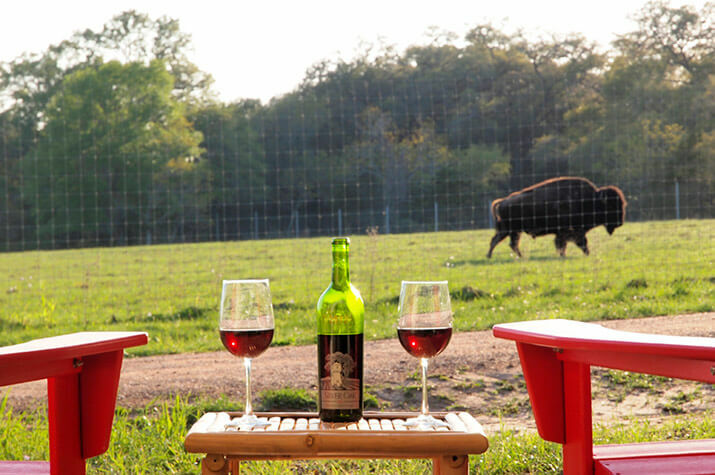 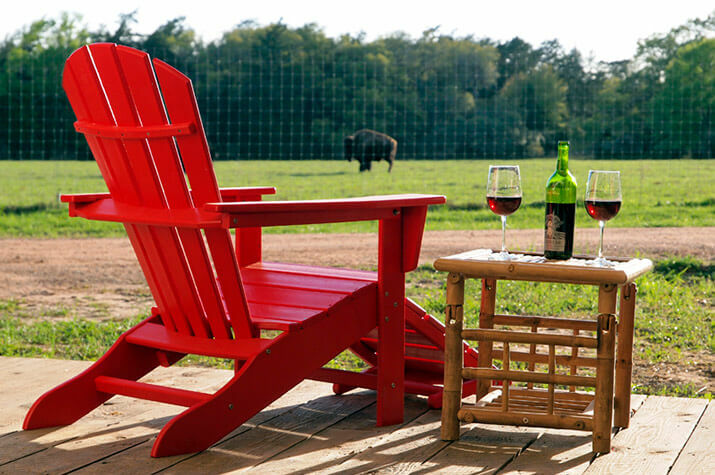 Watch spectacular Texas sunsets and Blackbuck antelope, Fallow deer, Bison, Axis deer, Red deer, and Oryx peacefully grazing from this one-of-kind retreat!